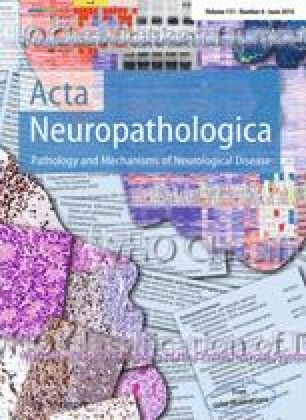 With the number of prognostic and predictive genetic markers in neuro-oncology steadily growing, the need for comprehensive molecular analysis of neuropathology samples has vastly increased. We therefore developed a customized enrichment/hybrid-capture-based next-generation sequencing (NGS) gene panel comprising the entire coding and selected intronic and promoter regions of 130 genes recurrently altered in brain tumors, allowing for the detection of single nucleotide variations, fusions, and copy number aberrations. Optimization of probe design, library generation and sequencing conditions on 150 samples resulted in a 5-workday routine workflow from the formalin-fixed paraffin-embedded sample to neuropathological report. This protocol was applied to 79 retrospective cases with established molecular aberrations for validation and 71 prospective cases for discovery of potential therapeutic targets. Concordance of NGS compared to established, single biomarker methods was 98.0 %, with discrepancies resulting from one case where a TERT promoter mutation was not called by NGS and three ATRX mutations not being detected by Sanger sequencing. Importantly, in samples with low tumor cell content, NGS was able to identify mutant alleles that were not detectable by traditional methods. Information derived from NGS data identified potential targets for experimental therapy in 37/47 (79 %) glioblastomas, 9/10 (90 %) pilocytic astrocytomas, and 5/14 (36 %) medulloblastomas in the prospective target discovery cohort. In conclusion, we present the settings for high-throughput, adaptive next-generation sequencing in routine neuropathology diagnostics. Such an approach will likely become highly valuable in the near future for treatment decision making, as more therapeutic targets emerge and genetic information enters the classification of brain tumors. F. Sahm, D. Schrimpf, D. T. W. Jones and J. Meyer contributed equally. The online version of this article (doi: 10.1007/s00401-015-1519-8) contains supplementary material, which is available to authorized users. This study was supported by the German Cancer Aid (110670) and by a PostDoc fellowship of the Medical Faculty Heidelberg to FS. We also thank the DKFZ-Heidelberg Center for Personalized Oncology (DKFZ-HIPO) for funding through HIPO_036 and HIPO_057.